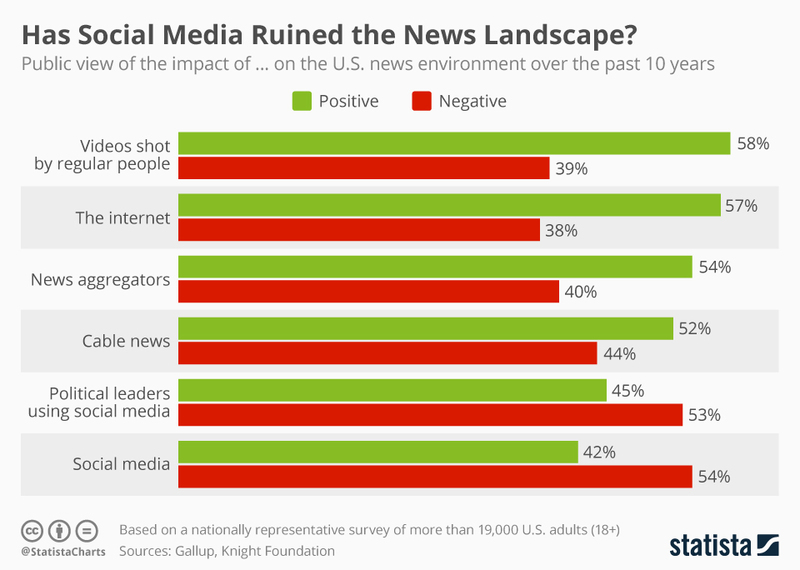 The majority of Americans believe social media has negatively impacted the U.S. news landscape over the past 10 years. According to a recent Gallup/Knight Foundation Survey on Trust, Media and Democracy, more than half (58%) stated that it has become “harder to be well-informed because people have to sort through lots of information to determine what is true or important”. Increasingly, Americans are questioning the benefits of social media with mounting pressure of Facebook and other social media to assume some responsibility for the spread of fake news.